Jehoahaz I (Hebrew: יהואחז, Yehōʼākhāz; Greek: Ιωαχαζ, Iōachaz; "Name means::YHWH has held") or Ahaz (Hebrew: אחז, ʼĀkhāz; Greek: Ἀχάζ, Achaz; "Name means::He has held") (762 BC-r. 742-726 BC according to Ussher, or 755 BC-vr. 735 BC-r. 732 BC-715 BC according to Thiele) was the eleventh king of the Kingdom of Judah in direct line of descent. His was one of the two most wicked reigns in the history of the Kingdom of Judah (2_Kings 16 , 2_Chronicles 28 ). His policies brought him into direct conflict with the prophet Isaiah (Isaiah 1,3,7-8 ) and various other members of the class of the minor prophets (Micah 3,7 ). 1.1 A father at eleven? Ahaz was the son and successor of King Jotham, and was born when his father was twenty-one years old. His full name was Jehoahaz, but either he or the historians who remembered him in the Bible dropped the "Jeho-" root of his name—because if any supernatural entity "held" Ahaz at all, it was definitely not God. Ahaz had at least one other son named father of::Maaseiah, who ultimately became a casualty of war. Ussher surmises (Isaiah 7:15 ) that Ahaz had another son, named father of::Shearjashub, of whom Isaiah said that he would eat butter and honey until he knew to "refuse the evil"—and before this happened, both Rezin and Pekah, two kings who would make an alliance against him, would be dead. Ahaz appears to have had more children. The Bible records that he passed one son "through the fire" to Ammonite god Molech. The sacrifice of a royal prince was probably an act of desperation in seeking to buy the favor of the god when things were going badly in the war with Damascus and Israel. The chronological data in the the books of 2 Kings and 2 Chronicles reveal that Ahaz sired his son Hezekiah upon Abi, daughter of Zechariah II, when he was ten or eleven years old. Though it may seem improbable for anyone to become a father at such a young age, there is ample evidence that it was both possible and probable for a crown prince at that time in history. Ahaz's age at the birth of his son Hezekiah is unusually young, even by ancient standards. But the importance of producing an heir in a hereditary monarchy has led to many unusual marriage practices amongst the royalty of various nations throughout history. The general trend has been to arrange marriage of the son to a woman of high birth and the royal couple would marry young. Whether Jotham or Zechariah would have expected the marriage of their children to produce an heir when they were still children is impossible to determine. The normal age range for the onset of puberty in boys is 10.6 to 12.2 years. Obesity is one of several factors that has been found to accelerate the onset of puberty by months or years earlier than normal.. So his social position as crown prince could have made Ahaz more likely to experience early puberty from a rich diet. Such a diet would not have been according to Levitical dietary law as the prophet Daniel would later interpret it (Daniel 1 ), but the Bible does not say whether Ahaz obeyed this law, and does say that Ahaz broke several other religious laws when he became king. The Bible gives ages and lengths of reign in years, leaving some room for play in the unit of time. Ahaz could have been one month shy of his twenty-first birthday when he took the throne on the 1st of Abib (Nisan), the inauguration day for kings of Judah, and still been "twenty years of age." Since exactly 16 years passed until Hezekiah's inauguration on 1 Abib at age 25, we find that 16+20-25 gives us eleven years with 11 months of play. Therefore Ahaz sired Hezekiah between the age of 10 years and three months, and the age of 11 years and two months. This is very close to the normal range for the onset of puberty in boys. The question is whether it would be socially acceptable or likely for Ahaz to have been married at such a young age. Egypt had been a major influence on the two kingdoms of Judah and Israel since Solomon's day. The Kingdom of Israel of Israel was almost a client state of Egypt from its inception. (1_Kings 11:40 ). Jeroboam returned from Egypt after Solomon's death and led the ten tribes into rebellion against the House of David. As soon as the ten tribes of Israel made him king, he set up golden calves from the Egyptian Apis cult for the Israelites to worship. The monarchy period of Israel and Judah can be firmly dated as contemporary with the 18th and 19th dynasties of Egypt, which conventional historians have placed six centuries too early. This historical revision was first suggested by Immanuel Velikovsky, and much ridiculed, but has since been confirmed beyond doubt by revisionist scholars such as Damien Mackey and John ZwickCite error: Invalid <ref> tag; invalid names, e.g. too many. Pre-puberty child marriage was commonly practiced by the royal houses of Egypt. One of the proverbs of the Egyptian seer, Ptah Hotep, was, "If you have already made yourself a name, then start a family." The Pharaohs of the 18th and 19th Dynasties appear to have taken this advice to the extreme. Tutankhamon is widely believed by scholars to have married his sister at age nine when he ascended the throne, having two short-lived daughters prior to his death nine years later. The besetting sin of the kings of Israel and Judah was to chase after the social and religious customs of their pagan neighbors. Therefore, that a king of Judah contemporary with the 19th Dynasty borrowed the Egyptian custom of royal child marriage should surprise no one. What is surprising is that King Jotham is the only king in the House of David to do this. We note that Ahaz married Abi, the daughter of Zechariah the high priest. This bespeaks an arranged marriage intended to produce a worthy heir to the throne by a wife of noble birth. Nor is this the only matrimonial connection between the Houses of David and Aaron. Princess Jehosheba married High Priest Jehoiada in 3115 AM, and King Uzziah, Ahaz' grandfather, married Jerushah, the daughter of the high priest Zadok II. Given the polygamous practice of the Kings of Judah and Israel, Ahaz no doubt took other wives for pleasure or diplomacy later in his life, by whom he had other children. These additional wives would tend to be of lesser social standing than the first wife. Also, the disaster of Athaliah, a foreign queen who nearly succeeded in her attempt to slaughter all the children of the royal line, was still relatively fresh in the memory of Judah. Therefore, the purpose of royal child marriage seems to have been to ensure that the firstborn prince came from a mother of the highest nobility and a true woman of Judah. But this is the only child marriage in the history of the House of David. Therefore, Jotham must have had an even stronger motive for suggesting it, and Zechariah would probably not have accepted such a proposal from any other man except Jotham, king or no. But Jotham and Zechariah had known one another well since Zechariah was a priest serving under his father (Azariah II) and Jotham suddenly became pro-rex at the age of fifteen after his father Uzziah was stricken with leprosy. Zechariah was almost certainly a direct witness to the tragic affliction of Uzziah. Under the circumstances, Jotham might have desired, more earnestly than most, to make a noble match for his son, and Zechariah might have been far more inclined to trust Jotham after their long association forged in tragedy. As problematical as Ahaz' siring of a son at eleven might have seemed, the timeline of Edwin R. Thiele presents a worse obstacle. According to Thiele, Ahaz was born in 755 BC, and Hezekiah began to reign in 729 BC, at the age of twenty-five. Therefore Hezekiah would have to have been born in 754 BC—when Ahaz was only a year old. That would be medically impossible, even if King Jotham would ever propose such a thing or Zechariah be even remotely inclined to accept it. Even if Ahaz was five years older when he began to reign, he would have had to sire Hezekiah at the age of six—still too young. Wood, following Thiele's numbers, suggests that Hezekiah was viceroy under Ahaz beginning in 729 BC and became sole ruler at 724 BC, at the age of twenty-five (so that Hezekiah could deal with Sennacherib's invasion in 710 BC, in the "fourteenth year of his reign"). But the best that Thiele can accomplish is still to have Hezekiah born when Ahaz was eleven years old. Therefore the child marriage remains the best inference that one may draw from the Biblical data. Ahaz became king at the age of twenty, during a disastrous period for the Kingdom of Judah. Late in his father's reign, Kings Rezin of Syria and Pekah of the Kingdom of Israel had started a war with the Kingdom of Judah. Ahaz inherited that war, because he became king in the seventeenth year of the reign of King Pekah. Thiele's dates show Ahaz reigning for twenty years. Comparison with Thiele's dates for Jotham's reign show that Thiele meant to say that Ahaz was viceroy in the last three years of Jotham's reign and then enjoyed a sixteen-year reign after Jotham died. Ahaz undid all of the good that his grandfather and father had done. He forsook God completely and followed the still-prevalent Baalism, even to making cast-metal images of Baal. "He sacrificed also and burnt incense on the high places, and on the hills, and under every green tree." (2_Chronicles 28:4 ) But by far his worst acts were burning his own children alive—probably as sacrifices to Molech, the patron god of the Ammonites, because this was exactly the sort of sacrifice that his cult routinely performed. In perhaps the fourth year of his reign, Ahaz traveled to Damascus for a meeting of state with King Tiglath-Pileser III of Assyria. While in that city, Ahaz saw an altar that he found attractive. He ordered Urijah, who became high priest on or near the year that Ahaz became king, to build an altar like that in Jerusalem. When it was completed, Ahaz performed all his sacrifices on this altar, and even took furnishings and fittings from the Temple of Jerusalem to augment it. Before his reign was over, he would shut the Temple doors, so that no activities would take place in it. In addition to this altar, Ahaz built high places of his own in every city in his kingdom, and other altars, too. He also apparently built a sundial, because his son Hezekiah would receive an astronomical sign that this dial would display. Strangely, Ahaz built a secret tunnel connecting the Temple with the palace. (2_Kings 16:18 ) According to Ussher, the ancient commentator Tremellius suggested that Ahaz did this out of fear that Tiglath-Pileser might attack the palace from the direction of the Temple. With the secret tunnel in place, Ahaz would be able to escape from the palace to a position behind enemy lines. At first, Kings Rezin and Pekah besieged Jerusalem as a unified force. This availed them nothing. (2_Kings 16:5 ) But they then, so it seems, split their forces and had far greater success. Rezin took an unrecorded number of people captive and brought them to Damascus, his capital city. Rezin also recaptured the city of Elath, which Uzziah had built and garrisoned. The Kingdom of Judah would never recover that town. Pekah, for his part, killed 120,000 of Ahaz' soldiers in one day. Pekah's general, Zichri, killed Prince Maaseiah along with Ahaz' palace steward and his chief-of-staff. Pekah's army then took 200,000 captives and a great deal of spoil and brought them as far as Samaria. There, a prophet named Oded warned the army to take the captives no further: though Ahaz richly deserved the military defeat, the Kingdom of Israel had sins of its own to answer for, and therefore had no right to retain the captives. Four Ephraimite princes stood up against the generals and refused entry to the captives. Faced with that, the generals brought the captives to the city of Jericho, after using some of the spoil to clothe, anoint, or otherwise care for them. Ahaz suffered similar disaster at the hands of the Edomites and the Philistines. The latter captured six of Ahaz' cities and the surrounding villages. During the Syrian-Israel War, Ahaz sought help from Tiglath-Pileser III, who in fact recorded the interaction on one of his inscriptions. Ahaz paid Tiglath-Pileser a heavy tribute, which he financed partly from the Temple, partly from the royal treasury, and partly from the heads of the leading families. The deal was mostly one-sided, primarily because it made the Kingdom of Judah a vassal state of Assyria. Tiglath-Pileser did not send aid against the Edomites or the Philistines. But he did, for his own reasons, attack both Edom and Philistia—or so he boasted in his inscriptions. He also attacked Syria and the Kingdom of Israel and laid them waste. He killed Rezin and captured Damascus—whereupon Ahaz agreed to meet Tiglath-Pileser in that city, and that was when Ahaz saw the altar that fascinated him so. Tiglath-Pileser also brought a humiliation upon Pekah that moved one of his generals to murder. Hoshea killed Pekah, whereupon (according to Ussher) the Kingdom of Israel fell into anarchy for nine years. Ahaz would never have to worry about an attack from Syria or the Kingdom of Israel again—though this "security" came at the price of national sovereignty. Isaiah specifically warned Ahaz against contracting any foreign military alliances. He told Ahaz that eventually both Syria and the Kingdom of Israel would fade away to nothing. In fact, Isaiah specifically told Ahaz that within sixty-five years, the Kingdom of Israel would be destroyed utterly. In fact, the Fall of Samaria would take place much sooner than that. The significance to Ahaz, if Ahaz had paid attention, was that the House of David could not possibly fail before the fulfillment of that sign—and a true prophet never gives a sign that does not fulfill itself eventually. Isaiah and Micah both spoke vigorously against the rampant idolatry and apostasy that they witnessed during Ahaz' reign. The Bible says that Ahaz reigned for sixteen years, and died at the age of thirty-six. Thiele shows Ahaz reigning, in one capacity or another, for twenty years. The arithmetic suggests that Thiele projected for Ahaz a three-year viceroyalty followed by a sixteen- or seventeen-year reign. In any case, the Chronicler specifically states that Ahaz was buried in Jerusalem, but was not buried in the sepulchres of the kings. His son Hezekiah succeeded him. Concerning that last: Ussher specifically states that Hezekiah was viceroy under Ahaz during the last year of Ahaz' reign. Thiele seems to suggest that Ahaz made Hezekiah his viceroy beginning in the fifth year of his, Ahaz', reign, and lasting for seven-eighths of that reign. ↑ Jones, Floyd N., The Chronology of the Old Testament, Green Forest, AR: Master Books, 2003, Chart 5. ↑ Bone Age and Onset of Puberty in Normal Boys, Armando Flor-Cisneros, James N. Roemmich, Alan D. Rogol, and Jeffrey Baron, Mol Cell Endocrinol. 2006 July 25; 254-255: 202–206. ↑ 6.0 6.1 Dunn J, ed., "Marriage and the Standing of Women," TourEgypt.com, n.d. Accessed February 18, 2009. ↑ 7.00 7.01 7.02 7.03 7.04 7.05 7.06 7.07 7.08 7.09 7.10 Caldecott, W. Shaw. "Ahaz." International Standard Bible Encyclopaedia. Edited by James Orr. Blue Letter Bible. 1913. 5 May 2003. Accessed June 4, 2007. ↑ 8.0 8.1 8.2 8.3 8.4 Authors unknown. "King Ahaz - Biography." 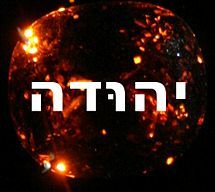 The Kings of Israel, hosted at http://www.geocities.com/ Accessed June 4, 2007. ↑ 10.0 10.1 Gordon, I. "King Ahaz: The Darkness Before the Dawn." JesusPlusNothing.com. Accessed June 4, 2007. ↑ White, Ellen G. "Chapter 27: Ahaz." Prophets and Kings, 1999. Accessed June 4, 2007. This page was last modified on 11 November 2013, at 04:48.